TV with Thinus: New SABC interim board of 5 people already one member down as possible conflict of interest swirls around dr Iraj Abedian. New SABC interim board of 5 people already one member down as possible conflict of interest swirls around dr Iraj Abedian. The new interim SABC board of 5 members are already down to just 4 members, since possible conflict of interest exists around the appointment of the well-respected economist dr Iraj Abedian. 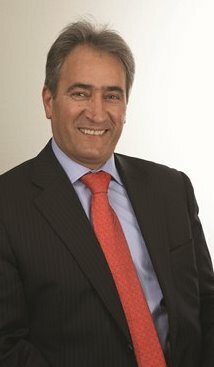 Dr Iraj Abedian has not attended any SABC board meetings as part of the new SABC interim board since the new interim board took over due to a possible conflict of interest. The exact nature of what the possible conflict of interest is, is not known. After the SABC board resigned en masse in March, parliament's portfolio committee on communications, tasked with oversight of the beleaguered South African public broadcaster, didn't investigate exactly what led to the spate of resignations during an emergency meeting in parliament. Instead the portfolio committee on communications rushed through the names of Zandile Tshabalala as the new chairperson of the interim SABC board, Noluthando Gosa as deputy chairperson who has resigned twice before as SABC board member, and as interim SABC board members the economist Iraj Abedian, the former public service commissioner member Vusumzi Mavuso, and the chartered accountant Ronnie Lubisi through the Nasional Assembly. President Jacob Zuma then rubber-stamped and approved the names of the new SABC interim board at the beginning of April. It's not clear why the portfolio committee on communications as well as president Jacob Zuma would put forth and approve an interim SABC board member who then turns out to possibly have a conflict of interest serving on the SABC board. It's the portfolio committee's task is to verify, scrutinize and validate candidates and names put forward to the National Assembly after a process of due diligence. Zandile Tshabalala has now written to parliament's portfolio committee on communications and informed the committee that there exists a possible conflict of interest regarding dr Iraj Abedian being on the SABC interim board. The portfolio committee chairperson Eric Kholwane told the committee members last Wednesday that there is a problem surrounding dr Iraj Abedian serving on the SABC interim board. The portfolio committee has now referred the matter to parliament's lawyers for advice and a legal opinion. In the meantime dr Iraj Abedian has not sat in any meetings of the SABC interim board, which means that out of the 5 person board, only 4 members are actually functioning.